My goodness, I do not know about you but I am so glad its Friday. Obviously Friday is everyones favorite day of the week, because you just know that even if you have had a tiring week with loads of work, stress, anything! Friday is the day to relax a bit, breathe and then continue what you need to do afterwards. With that said, lets jump into this weeks F.F.F! This look is very street style, but with a hint of culture with it to pop the whole look out and keep a balance. I always love mixing different cultures into fashion, that’s what makes it a style. This fashion find is definitely a “FRI.YAY” look. Basically meaning (in my world) to be care-free, relaxed, breathing, and enjoying the day or night until we get busy again. 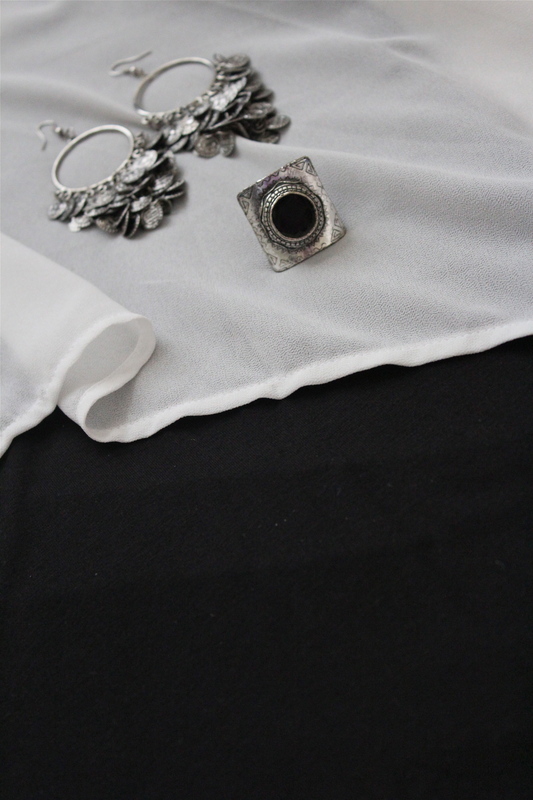 High-low black and white crop top: Forever 21. Original price $19.80. I love how they chose black and white in one look, you can mix and match about anything with this top! Black Tights: Forever 21. Original price $3.80. If you have not purchased a pair of tights/leggings from Forever 21, I highly suggest you do so. 1) they are for $3.80, 2) they have many colors, 3) very comfortable to wear and 4) Did I mention they are $3.80? Earrings: Forever 21. Orignal price $3.80. Very light weight and very comfortable to wear. 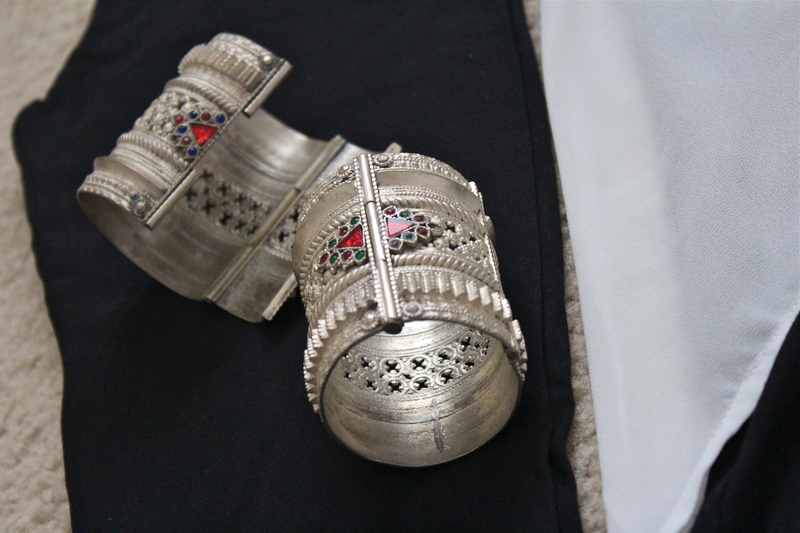 Heavy Metal Hand cuffs: These are actual antique pieces gifted to me. Authentic designs all the way from Afghanistan. Today you can find similar ones (not real though) in Forever 21, CR, TOPSHOP, and Urban Outfitters. 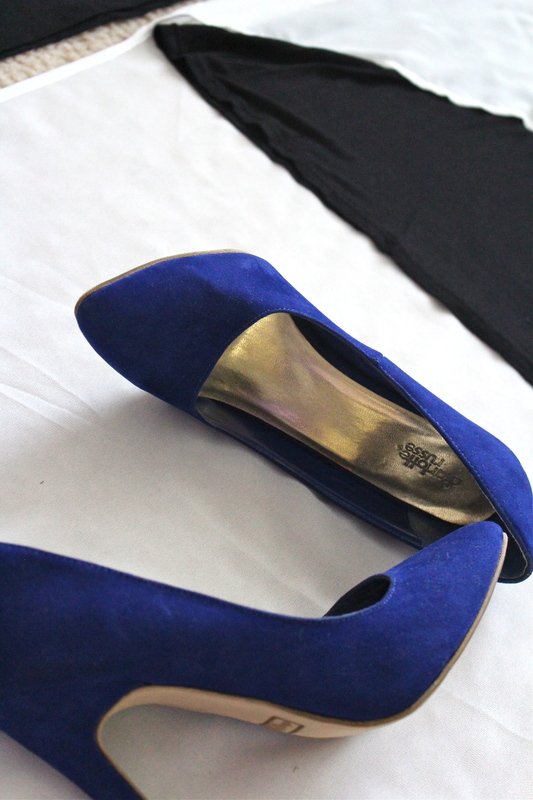 Royal Blue Velveteen Shoes: Charlotte Russe. Orignal price $34.99, on sale for $9.99. As you all already know, I literally have many pairs of shoes from CR because they are worth the purchase.